Why do social beings sometimes put their own common sense aside to follow the lead of others, even though by doing so they could be brought to death's door? Research on carpenter ants (Camponotus mus) led by Roxana Josens of the University of Buenos Aires in Argentina is the first to show that so-called social information delivered by other ants often overrides an individual's assessment that a certain food source is toxic. The findings are published in Springer's journal Behavioral Ecology and Sociobiology. Social insects such as carpenter ants rely on sophisticated communication channels and on individual decision making to ensure that foraging as a group is done effectively. On the one hand, ants gather personal information through their first-hand experience of their environment or the quality of the food they find. Group members also share social information gathered by other nest members. This can be done when they swap food during the mouth-to-mouth exchange process called trophallaxis. It allows group members to pick up on odors and tastes, which they then go on to link with specific food stuffs. Josens' team wanted to establish which type of information weighs most when carpenter ants forage for food: personal or social information. They therefore conducted a series of laboratory and field experiments to determine if a toxic substance, known to be a strong and harmful deterrent for carpenter ants, could become acceptable if it is associated with an odorant present in food being exchanged via trophallaxis. The team therefore exposed receiver ants to a toxic food (sugar-water mixed with boric acid) with the same odor they had previously learned about through trophallaxis. 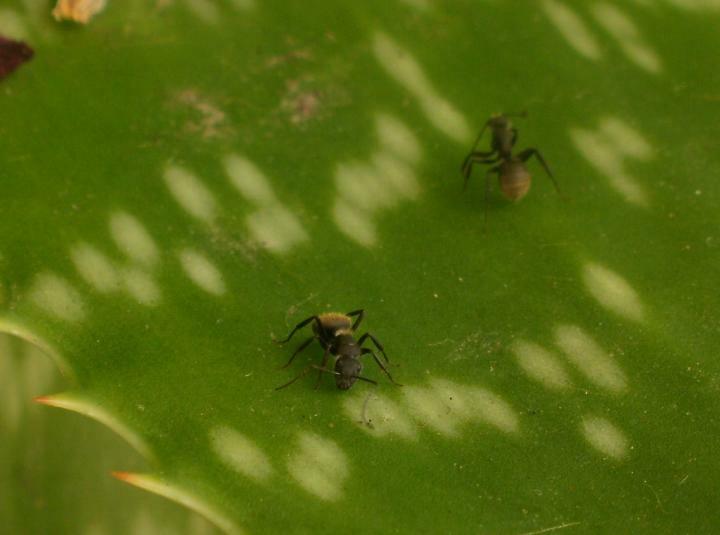 Both experiments showed that ants can detect whether there is a toxic compound in a solution, and that they will reject it as a possible source of food. However, it was found that the odor experienced in a social trophallactic contact overrides individual ants' food assessment. This happens to such an extent that ants go on to collect the toxic food whenever the odor coincided with ones they learnt about from others, regardless of its harmful qualities. However, unscented toxic food was rejected by those ants that received no odor food by trophallaxis. Even more, the toxic food with odor was also rejected by ants that were confronted directly with this food and its odor because of their own first-hand experience and evaluation about the quality of the food source. "Our results show how the assessment of a toxic food is overridden by social information," says Josens. She highlights the fact that these findings are contrary to those of most previous studies where social insects face a conflict between social instructions and individual experiences. "In our work the individual information accessible to foragers was not a memory acquired in a previous foraging bout but their current individual sensing of toxic food when the decision of feed or not should be made," explains Josens. "The individual expectation generated by social information overrides the individual assessment of food toxicity."